Less than 10 percent of the population of Malawi has access to electricity. Having access to light in their homes and businesses after sunset is seen as a luxury by many people. The lack of a reliable power supply is a major constraint to economic growth for this densely populated sub-Saharan African nation, which also has high levels of poverty and inequality. For Malawians, the lack of reliable power drives up the cost of daily life, limits job opportunities, increases the cost of doing business, and hinders investment in their country. In 2011, MCC signed a five-year compact with the government of Malawi to reduce poverty through economic growth by revitalizing the country’s power sector. The compact took a systemic approach to strengthening the nation’s power sector — recognizing the need for infrastructure, policy reform, and environmental management to drive the sector toward sustainable change. Available and reliable power is a necessity for businesses, homes, medical facilities, and schools, but it is not a reality for Malawians. Analysis conducted by the Government of Malawi during compact development confirmed that its power sector was rapidly deteriorating, leading to businesses and households losing hundreds of millions of dollars in productivity, a higher cost of living, and reduced employment income. To ensure long-term success, MCC’s power sector investments in Malawi needed the support of well-managed utilities, an open and competitive market and a strong regulatory framework. Legislation passed by the Government of Malawi in 2016 set the stage for a restructuring of the power market to increase efficiency and competition to spur development and investment. The Government implemented the new law by splitting the Electricity Supply Corporation of Malawi (ESCOM) into two entities. ESCOM Ltd. now focuses on transmission and distribution of electricity, technical operation of the power system, and management of the power market. The Electricity Generation Company of Malawi (EGENCO) focuses on generation of electricity. The compact also supported the creation of an Independent Power Producer (IPP) Framework — a policy document for the Government, ESCOM and the private sector which describes the requirements and process for adding new electricity generation through private investment. Key reforms and technical assistance have helped ESCOM deliver better service and become a more viable business partner for the private sector — and we’re already seeing results. In September 2018, the utility signed a 20-year power purchasing agreement with JCM Capital to develop one of Malawi’s first commercial-scale solar power plants, and other projects are in advanced stages of negotiation. ESCOM is also in advanced stages of negotiations with other private investors that will add to the supply of electricity in Malawi. A complete rehabilitation of hydropower station Nkula A was undertaken as part of Malawi’s $350.7 million Millennium Challenge Corporation compact. Reliable, sustainable power requires a strong infrastructure base. MCC investments in electricity infrastructure have helped stabilize the grid and increase the volume of electricity that can flow through the system. 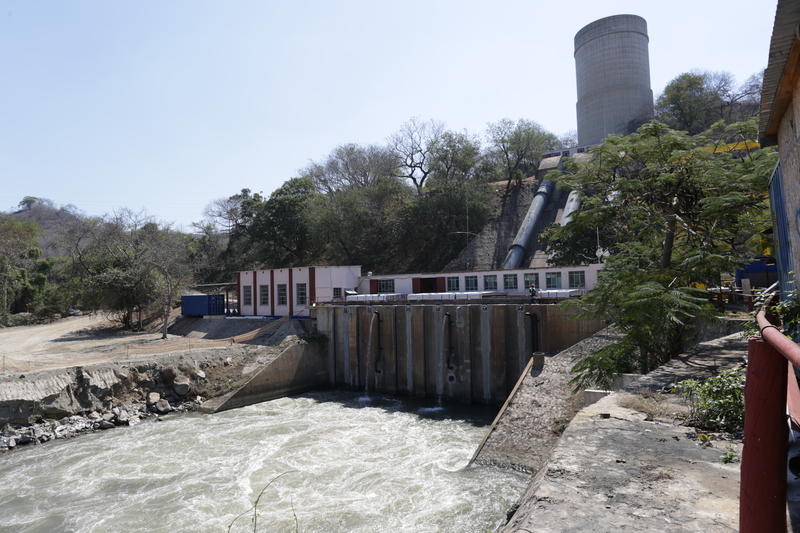 Complementary funds from the Government of Malawi helped refurbish the Nkula A hydropower station, prolonging its useful life by 30 years and increasing its power generation capacity. Construction of a new high-voltage 400 kilovolt overhead line strengthened the backbone of the transmission network, allows the system to accommodate new power generation, and enables Malawi to link to the Southern African Power Pool in the future, creating the opportunity buy and sell electricity from neighboring countries in the future. “Research has shown that organizations which have included women in their decision making are able to perform much better than other organizations which don't have women in their committees or teams. We think ESCOM would be able to benefit when they bring in the perspective of women,” said Elube Chienda, Gender and Social Inclusion Manager at ESCOM. ESCOM partnered with the University of Malawi and the Malawi University of Science and Technology to launch scholarship and internship programs for high performing female engineering students. The utility also began a career talks program in three secondary schools in Blantyre with the aim of building girls’ interest in engineering. The Electricity Supply Corporation of Malawi (ESCOM) instituted gender policies and introduced programs and scholarships to attract female engineers as part of the MCC Malawi compact. 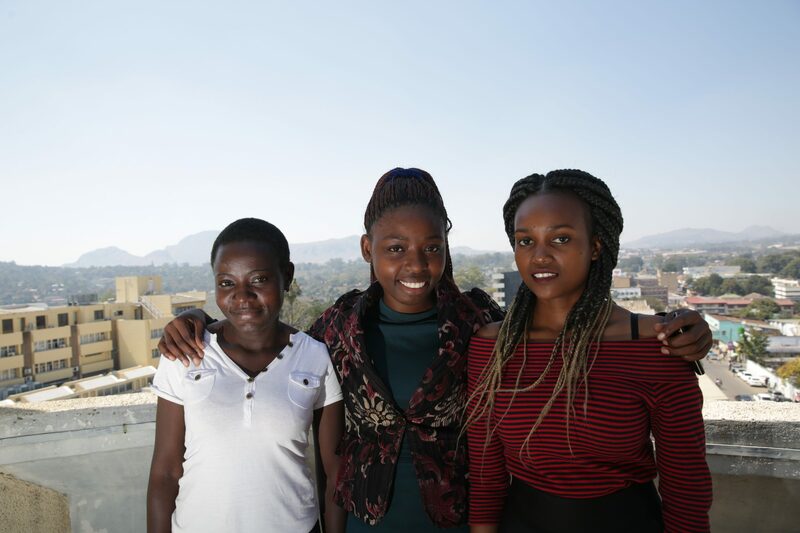 Three scholarship recipients pose together on the roof of ESCOM’s Blantyre office. “The idea is to ensure that we motivate them, and we inspire them so that when we have vacancies they will be the first ones to apply,” Elube Chienda said of the internship program. Commerce in Lilongwe, the Malawian capital, and Blantyre, the country’s commercial hub, is concentrated during daylight hours because unreliable power makes doing business after dark challenging. Even during daylight hours, when power cuts out, firms must either shut down or run their own generators at high costs to keep their lights on, refrigerators running, and other equipment working. 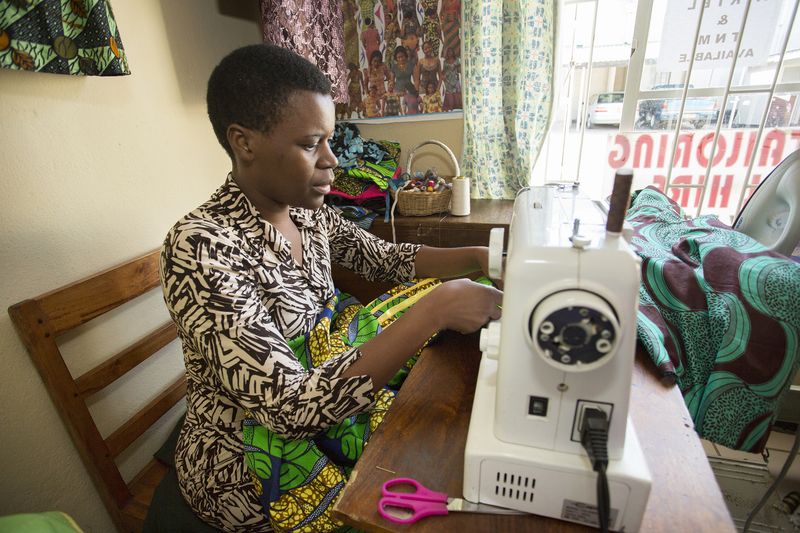 Ivy runs a tailoring shop in downtown Blantyre. Her store suffers from frequent power blackouts that hamper her ability to do business. 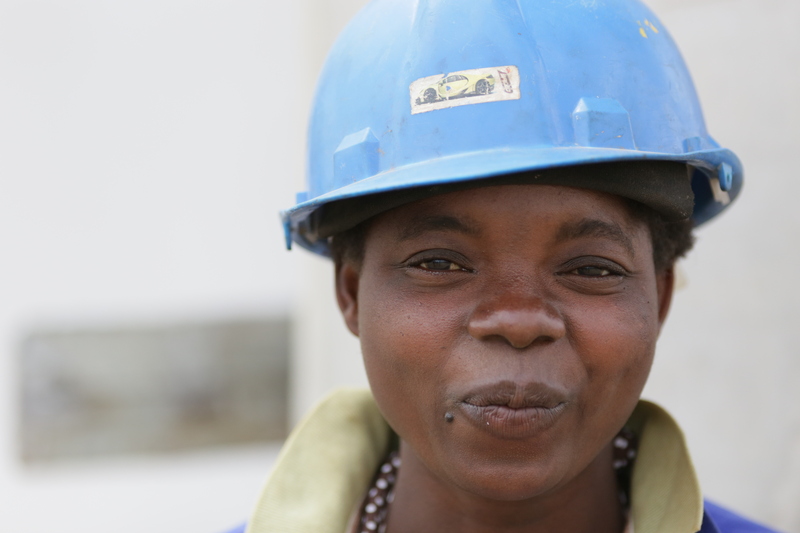 Reliable electricity can reduce the cost of doing business for people like Ivy, as well as those in the agriculture, manufacturing, mining and service sectors. Ivy at the electric sewing machine in her shop. 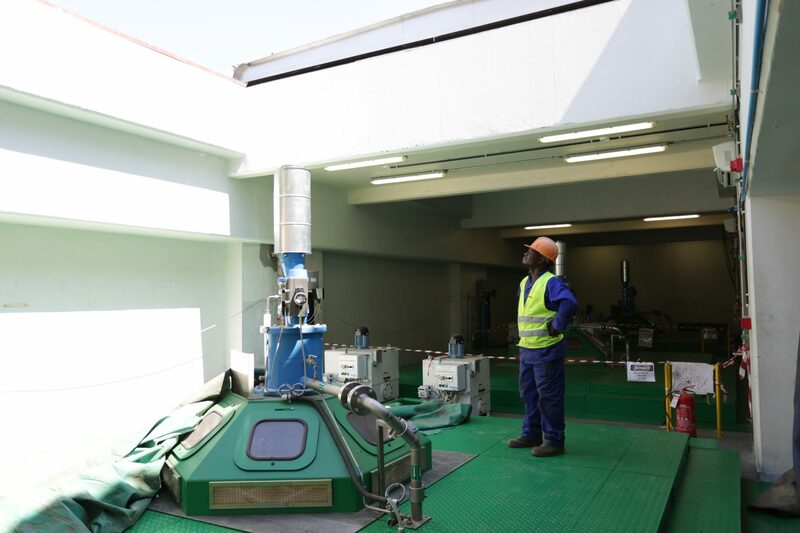 MCC compact-funded projects increased the capacity of the transmission network to reliably move power generated in the south, where 98 percent of the energy is produced, to high-demand areas like Lilongwe and Blantyre. 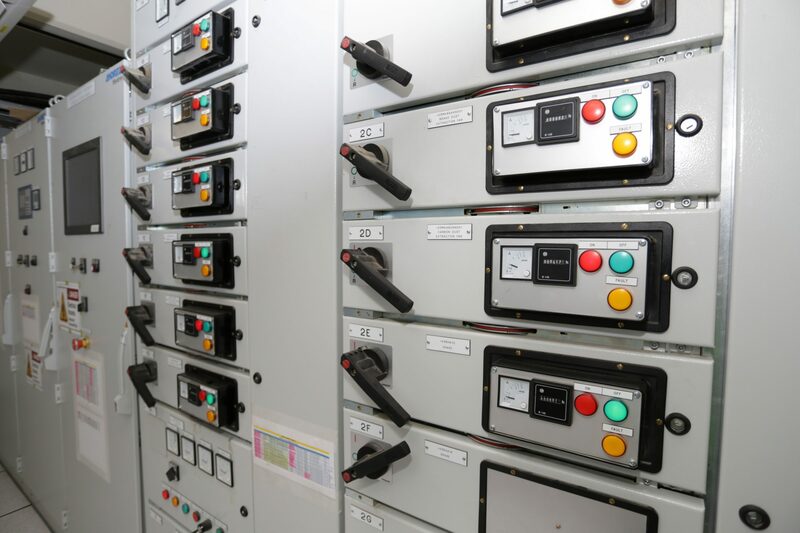 With transmission capacity increased, power distribution extensions are now possible, which will support increasing access in high-demand areas, while supporting improved reliability. Nearly all of Malawi’s electricity is driven by hydropower on the Shire River— a 250-mile river stretching from Lake Malawi to Mozambique’s Zambezi River. The three districts along the river are densely populated; many Malawians living in these districts make a living through hillside, small-scale agriculture, cutting trees for firewood and producing charcoal. While these activities may generate income, they threaten hydropower generation as a result of soil and nutrient erosion from the hillsides which encourages growth of aquatic weeds and increases sediment in the river. Power outages and low electricity output are common, due to damage caused by weeds and sediment accumulating at the hydropower plants. Poor land management practices and rapid deforestation have contributed to a cycle of continued food insecurity and increased deforestation that further reduces power generation. Women encounter gender-based constraints as farmers and managers of natural resources. And among the poor in Malawi, women-headed households in particular face challenges like a lack of access to land, resources, and decision-making power over both. For years, aquatic weed infestation and excessive sedimentation in the Shire River Basin caused costly disruptions in hydropower. 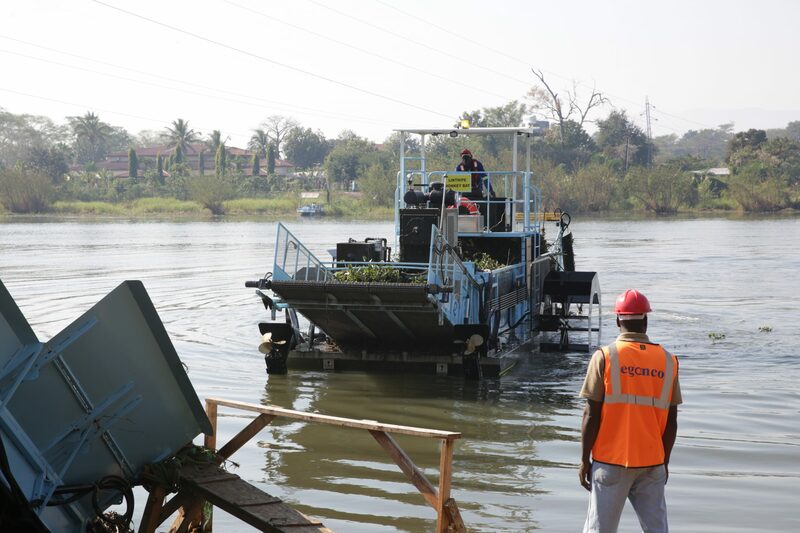 Today, a new dredger and weed harvesters are helping reduce chronic weed infestations and excessive sediment buildup. Communities along the Shire River are now benefitting from compact-funded activities designed to develop new economic opportunities that also protect the rivers that power Malawi’s electricity. Some women—like Judith and Alice of the Tiyanjane Horticultural Club—learned new agricultural skills and plant trees to improve the health of the Shire River. They are also earning an income by selling fruit trees and other plants and invest their earnings in their families. And other women now earn an income raising bees and selling honey, thanks to training and education provided by a local organization through the Malawi Compact, enabling them to help with running their households. Annie lives in Malawi’s Shire River Basin, where she produced charcoal by burning trees to sell to consumers due to limited economic opportunities. This was her only source of income for 10 years to support her two children. After learning about sustainable land practices through a compact-funded program, she now produces and sells tree seedlings instead. “I have so far planted 155 trees as an individual and I will continue to do so as a way of paying back what I have destroyed,” said Annie. Mary also used to sell charcoal to make her living and has transitioned to becoming a shop owner. She received a loan from one of the 771 Village Savings and Loans supported by the compact and local organizations to help entrepreneurs establish new, more sustainable businesses. These interventions have helped improve the health of the river for electricity generation and provide opportunities for people to lift themselves out of poverty by launching new businesses while improving women’s decision-making power over land and resources. MCC’s investment in Malawi established the foundation for a modern power sector on which the Government of Malawi, private investors and regional partners can build a brighter future. Increased capacity for the system, increased skills for workers, and increased opportunities driven by policy reforms have positioned the Government of Malawi and the power sector with the potential to continue this progress and to meet existing and growing demand. 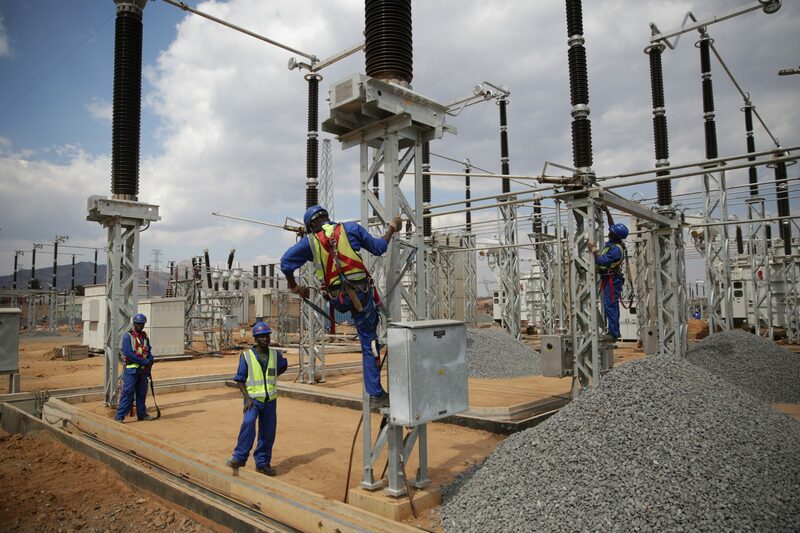 With the improved regulatory framework, Independent Power Producer framework and power sector restructuring implemented by the Government of Malawi with technical assistance from the compact, more independent power producers are expected to enter the market. These challenging reforms have fueled great progress in establishing a healthier power sector and expanding opportunity for the people of Malawi. By strengthening this vital sector, the Government of Malawi is building a foundation for the delivery of reliable electricity to more households, schools, and businesses to power the country’s long-term economic growth and reduce poverty. 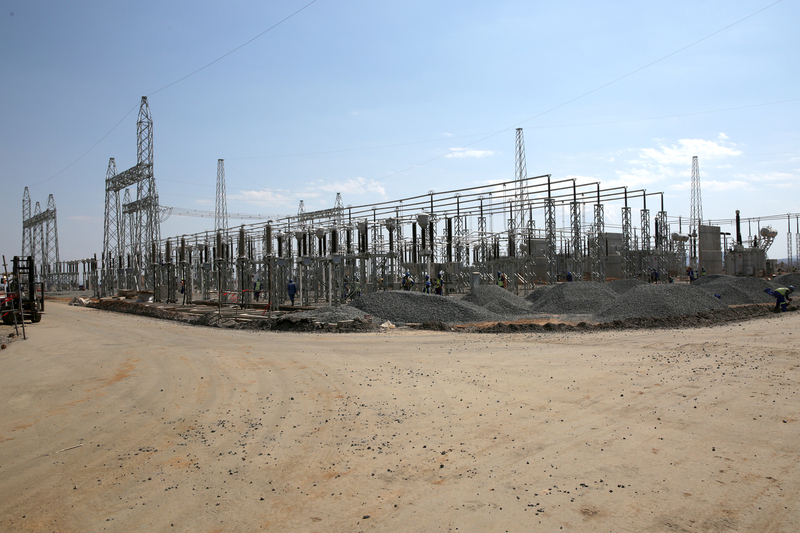 Construction was completed on September 2018 at the 400kv Nkhoma Substation—a significant transmission upgrade completed as part of MCC's $350.7 million compact with Malawi.